Been a rather slow month for painting unfortunately. I'll have to up my game. 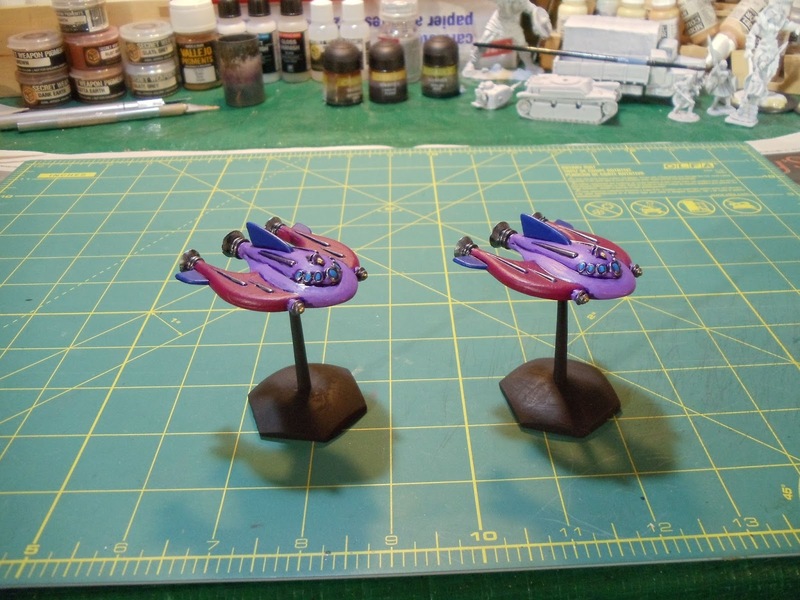 Regardless, this week I finished the last War Rocket fleet: the Valkeeri. 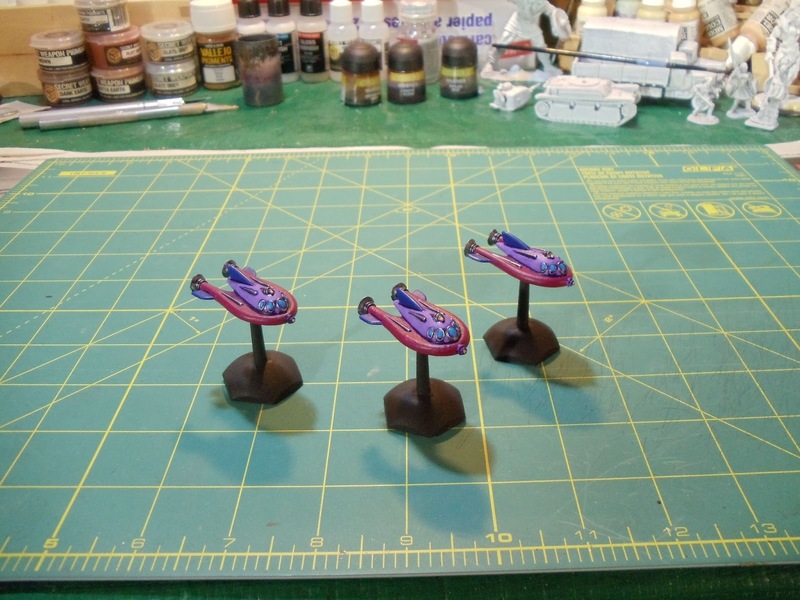 These miniatures are from Hydra Miniatures and like their other War Rockets, are a breeze to paint. The Class 1 and 2 rockets are metal and the Class 3 and 4 are resin. Pictures will be in order of Class 1 to 4. Next up on my paint table are a few figures for Frostgrave, some ancient bow armed skirmishers and some hoplites. Happy New Year! Now that 2015 is complete I can look back on what I accomplished and which of my goals I completed and which ones I failed at. For my goals for 2015, I didn't do very good at all. 1. War Rocket - paint the Valkeeri. -> I just started this in the last few days. 2. 15mm Ancients - finish off my Hittites. -> never got to these. 3. Terrain - I've got a few more 15mm buildings to paint up. I've also got 11 28mm European buildings to paint up. -> never got to these. 4. 28mm Samurai - paint up 4 bases. -> complete 2 bases. 5. 54mm War of 1812 - finish off everything I have. -> didn't get to any of this. 6. Martian Front - I painted up a pile of these figures. On the downside it looks like the company that makes this game is now kaput so it doesn't look like I'm going to get the remained of my Kickstarter materials. Win some - lose some I guess. 7. 28mm World War II French - finish my French (at least what I have). -> I finished what I had but I've since purchased a bunch more vehicles. 1. 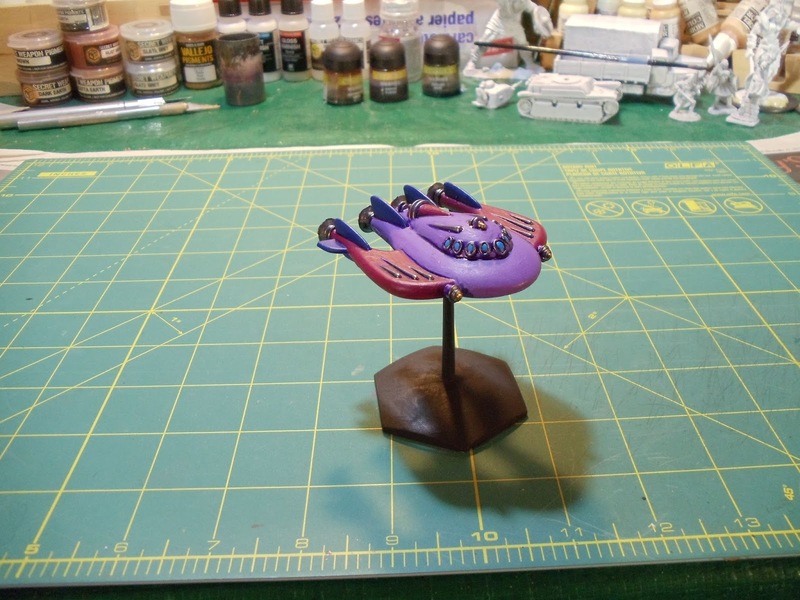 War Rocket - paint the Valkeeri fleet (shouldn't be a problem as I've already started them). 2. 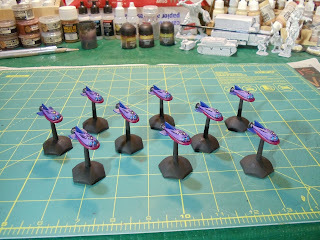 28mm Samurai - paint up 4 base of figures. 3. 28mm World War II French - complete the items I now have. 4. 28mm World War II Germans - start this force and get at least the started box completed. 5. Martian Front - complete my figures and paint up the remaining bulk of Terry's Martians. 6. 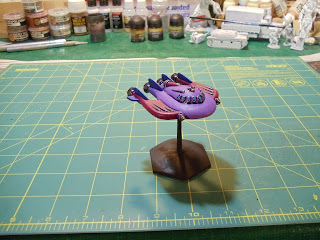 Retro Raygun - paint up the new figures I do have on hand. 7. 28mm Carthaginians - complete this army and possible start on a period Roman army. 8. 54mm War of 1812 - paint up at least 1 unit. 9. Terrain - paint up at least half of my 28mm buildings. These are pretty lofty goals but hopefully I can do better than the dismal showing I did in 2015. Hopefully this year will be a continuation of the past two years. I definitely need to get more board war-games in though as this year was lacking for those. So good bye to 2015 and hello to 2016!